I loved the 1990 adaptation of Stephen King's It novel, I still to this day remember exactly where I was when I saw it (laid in bed watching it on my TV one Sunday morning around 5 years ago during a rough patch in my life, was great escapism!). I thought Tim Curry was fantastic as Pennywise, I still do, however Heath Ledger had already proved with The Joker that different actors can bring different abilities to the same role and so hearing it would be Bill Skarsgard playing the infamous clown didn't faze me, especially as I heard he was amazing in his role. I climbed aboard the hype train for this latest adaptation of the story and managed to get to the film without having seen a single trailer, something I really wish I could achieve more often. 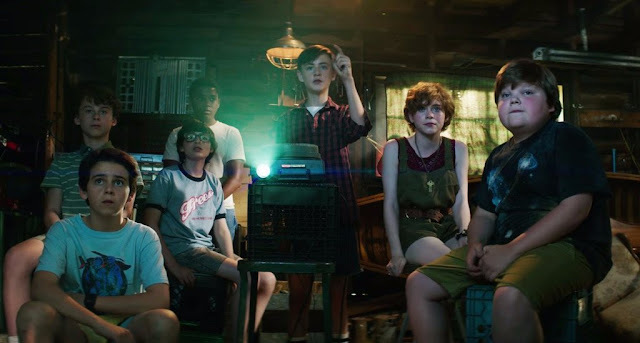 Set in the small American town of Derry in the late 1980's a group of young misfits that include Bill (Jaeden Lieberher), Richie (Finn Wolfhard who was also fittingly in Stranger Things) and Beverley (Sophia Lillis) discover that the reason for the huge number of child disappearances over the years (that include Bill's younger brother Georgie a year previously) is down to a monstrous creature that takes on the appearance of a clown (Skarsgard), and which can only be seen by children. Conquering their individual fears they team up together to find a way to stop the evil of It. I was hoping for a high quality piece of film making and I can happily report that is exactly what I got. From the very start not only was there great directing and awesome special effects, but also plenty of gore. 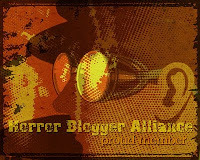 Knowing the way this would play out I still found myself immersed in the world of the 80's. It seems ridiculous to say this felt derivative of Stranger Things so instead I will say it, like that creates a group of imminently likable children who come across as fleshed out. The iconic opener of Georgie's encounter with It set up the tone for the whole movie and I was quite surprised how that scene played out, didn't expect to see what I did! This is created to be a scary film and while I personally didn't find it frightening (I put it down to over exposure of the horror genre) there are many pretty messed up moments that brought to mind both A Nightmare on Elm Street and even The Evil Dead, such as can be seen in the bathroom blood explosion scene. Skarsgard steals every scene he's in, the clown make-up is fantastic, and the way he acts with a kind of impish, childish behaviour sets him apart a lot from Curry's great performance. As good as he is, it is the special effects around his character that really set him on a pedestal in terms of movie monster. His jaw distends, his eyes roll around into the back of his head, his limbs contort and stretch and there are some effective scenes that use different movie techniques to make him seem out of place. Several scenes have him dancing on the spot, but various parts of his body seem to be moving at different speeds. He has a Freddy Kruger like tendency to disguise himself as different people, such as a leper to scare the kid whose afraid of germs, a creepy woman from a painting the Jewish kid is scared of, and as Georgie to mess with Bill's head. One memorable scene has him appearing in a slide show and gradually getting to the point where he bursts out the projection screen about 15 foot tall, all is great. However due to the material it is based on I had the same slight misgivings with these scenes. Namely that he is great at scaring kids but when it comes to actually killing them he isn't so good. This leads to innumerable scenes of him doing scary looking stuff but the pay-off being the kid he is tormenting just running off screaming. I enjoyed the characters all around It too, especially human antagonist Henry Bowers (Nicholas Hamilton) who plays a typical small town bully but is more psychotic than I am used to. With the barely seen adult characters all being bad people in way way or another (such as Henry and Beverley both having abusive fathers) it is understandable why the kids never think to go to grown ups for help. With all the violence and horror scenes there is also moments of levity to the plot, a few of the gang have laugh out loud one liners and amusing parts to them, I especially liked the New Kids on the Block recurring joke with Ben (Jeremy Ray Taylor), and the point where the gang finally turn the tables on the bullies was a really funny highlight full of slow mo and profanity (there is a hell of a lot of swearing in this film). What I forgot is that the TV film was actually made up of two parts and so when the end credits rolled and the childhood portion of the film was all that had been done I was briefly concerned until the end title came up as 'It: Chapter 1'. On the one hand it would have been awesome to get a culmination to the story, on the other hand this was 2 hours 15 minutes and none of it felt like padding, and so the knowledge that there is very likely going to be a chapter 2 down the line has me itching to climb back onto the hype train and ride it for however many years it takes. 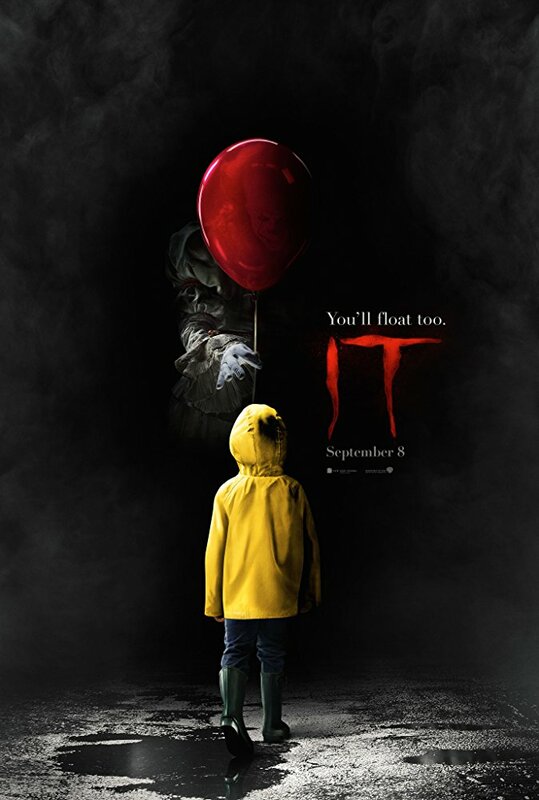 The 1990 TV adaptation of It is still a great film (and was the inspiration of the notorious Northampton Clown of 2013), this new release hasn't changed that, instead it has created an equally as enjoyable version, one which is crisp and bloody and also one that is full of heart thanks to it's near universal good acting and a centred cohesive direction of Andy Muschietti (Mama). I look forward to getting this on Blu-ray, I look forward to giving the book a read, and I look forward to seeing what chapter 2 has to offer.